Premise: (from Black List) In the early 1980s, a town suffers through the aftermath of a brutal murder of a high school girl and a teacher. About: This script finished Number 2 on this year’s Black List. Drew Barrymore has been attached to direct. It’s unclear to me if she became involved before the script made the list or after. People might think this is a strange marriage between director and subject matter, but let’s remember that Drew Barrymore had a really dark childhood, and this movie is set during the decade when she had that experience. So she may be using this film to exorcise some demons. Embodying the spirit of the Black List, this is writers’ Hutton and O’Keefe’s breakthrough screenplay. Details: 108 pages – June 29, 2011 draft (This is an early draft of the script. The situations, characters, and plot may change significantly by the time the film is released. This is not a definitive statement about the project, but rather an analysis of this unique draft as it pertains to the craft of screenwriting). I have to say I was surprised when I put word out that I might give this script an "impressive" and got back a few e-mails telling me I was crazy. I can understand why someone might not like this. It's different and doesn't tell its story in a traditional way. But I think it's hard to argue that the writing here is impeccable. Maybe an entire week of amateur screenplays lowered the bar for me. I don't know. But when I read this, it moved me. I *felt* this story. That happens so rarely these days, that when it does, I celebrate it. 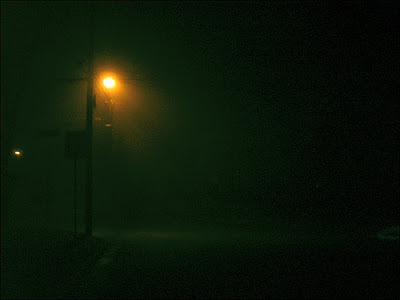 "Streetlights" is told by a narrator, Charlie Chambers, who's remembering the summer of 1983 in Colfax, Illinois, when he was 15 years old. It was during that summer that the most beautiful girl in town, 17 year old Chrissy Monroe, was found murdered with one of her high school teachers. Charlie, who works at the school newspaper, wants to do a story on the piece and his teacher gives him the go-ahead. What he finds is a town rocked by the murder and desperately looking for a suspect. All signs point to Casper Tatum, a rebellious troublemaker who's had some scrape-ups with the law in the past. But some are eyeing Chrissy’s boyfriend Ben, who may have found out that his girlfriend was seeing a teacher and took matters into his own hands. In the meantime, we meet Becky Monroe, Chrissy’s little sister. Because of Chrissy's immense popularity, Becky has always been overlooked. But with her sister now dead, and Becky’s own beauty emerging, she is quickly becoming an alternative darker version of her sister. So it's no doubt a shock when the main suspect for killing Chrissy, Casper, falls in love with Becky from afar. The reclusive Becky fends Casper off for awhile, but he eventually grows on her, and probably because her parents hate him so much, she soon finds herself in a relationship with him. During this time, Ben has taken a liking to Becky as well. And when she shuns him only to go out with this loser Casper? Well, let's just say that Ben doesn't take the news in stride. Our narrator, Charlie, who has secretly liked Becky ever since they shared a kiss in grade school, watches all of this unfold from afar, but eventually finds himself pulled into the fray, just before the most shocking thing that could’ve happened does. Streetlights is one of those stories where it isn’t easy to explain why it works. There's a lot going on here. Multiple protagonists. An ongoing commentary that spans the entire screenplay. So I’ll leave it to one of my readers to sum it up. “It’s just a well-told story,” he e-mailed me. And I agree. There are a lot of rules broken here. There are a lot of layers to this story. There are a lot of characters and risky shifts in tone. But somehow it’s all beautifully managed. What really stood out to me were the tone and the voice. The script almost plays out like a song from your youth. You know how when you hear a tune from when you were 15 and you’re just immediately transported back to that year? That’s what this felt like. And the voice was so unique. It was like a combination of American Beauty (the suburban vibe) Donnie Darko (the 80s vibe) and Election (the humor vibe). As far as structurally, this script is a rule-breaker’s manifesto. Voice over during the entire story. No true main character. And not a whiff of my precious GSU! So why do we still care? Simple. The MYSTERY component. “Who killed Chrissy Monroe?” That’s the question driving the plot - much like we want to know who kills Lester Burnham in American Beauty. There's another mystery component as well, but to get into it would spoil the script’s great ending. The lesson here is, putting us in the middle of a suburban neighborhood with people bumping up against and getting to know each other in a vacuum is boring. But once you add the murder of a precious girl, where everyone’s a suspect? Now you have yourself a movie. And since we’d just talked about the importance of the first 10 pages last week, I should say that this script, despite its deliberate pacing, offers up a great first 10 pages. When we meet 17 year old Chrissy, we see her slip out of her seemingly perfect household and jump into a car with her thirty-something teacher. I wasn't upset about this choice, but I was kinda like, okay, we have another story about an inappropriate relationship. Average City. Then a second later a man jumps in the back and puts a gun to the teacher's head and says drive. He forces them into the woods, tells them to strip, and then shoots them dead. The moment that man jumped in the back of that car with a gun, I knew I was reading a good script, because it was unexpected. And when writers do unexpected things as opposed to boring predictable things, it usually means you’re in good hands. Where I think these writers became geniuses though was in the third act (spoilers ahead). This entire story is told from the point of view of an uninvolved third person, Charlie. Something that’s kind of sad because we know he has a thing for Becky and realize he’s never going to get a chance with her. So when the relationship between Becky and Casper ends, and Becky and Charlie start hanging out together, it takes you by such surprise, that it’s way more powerful than any script-long relationship between the two of them would’ve been. It’s kind of like seeing your team down by 20 in the fourth quarter, only to watch them win the game on a last second hail-mary. Sure it would’ve been great to see them blow the team out from the first snap. But that’ll never feel as good as snatching victory from defeat. I'm not going to get into the details of what happens next, but it’s what elevates this screenplay beyond your average Saturday night read, and into a very deserving #2 slot on the Black List. So why no Top 25? Hmmm, I don’t know. I need to sit on it for awhile. It might creep its way in there at some point. I think it’s because of the main character issue. There really isn’t a protagonist in this, and while it all worked out in the end, there were portions of the screenplay where I felt too removed from the story. I didn’t have anybody to identify with, anybody to guide me. So it felt kind of lonely. It’s hard to describe but that’s the best I can do. Either way, this was a VERY solid screenplay and well worth your time. What I learned: Atmosphere. These guys reminded me how important atmosphere is in a screenplay. Sometimes we get so focused on the facts of the story that we forget to bring the story to life. Things like the crackle of a record player as the needle hits the record. Children playing on a Slip-n-Slide on a sunny day. The way friends are described (“They are the kind of friends you only have at fifteen and never again. Blood brothers.”). Becky carefully retracing her barefoot steps in the snow when leaving Charlie's house. These guys really fill their universe out. You never want to go overboard with this stuff. But if you want your script to breathe – to have life – it’s something you need to pay attention to. THE 15 BEST MOVIES I SAW IN 2011! First Ten Pages Week Coming Soon!